He was in holy orders. James Archibald Stuart-Wortley-Mackenzie, 1st Baron Wharncliffe was born on 1 November 1776. He was the son of Hon. James Archibald Stuart-Wortley-Mackenzie and Margaret Cunynghame. 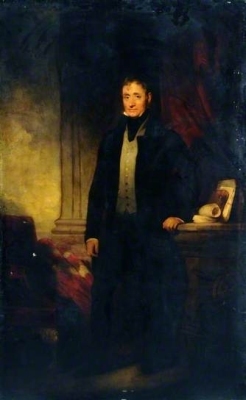 He married Lady Caroline Elizabeth Mary Crichton, daughter of John Crichton, 1st Earl Erne of Crom Castle and Lady Mary Caroline Hervey, on 30 March 1799.2 He died on 19 December 1845 at age 69. He gained the title of 1st Baron Wharncliffe.